There are so many products I tried and loved in 2017. 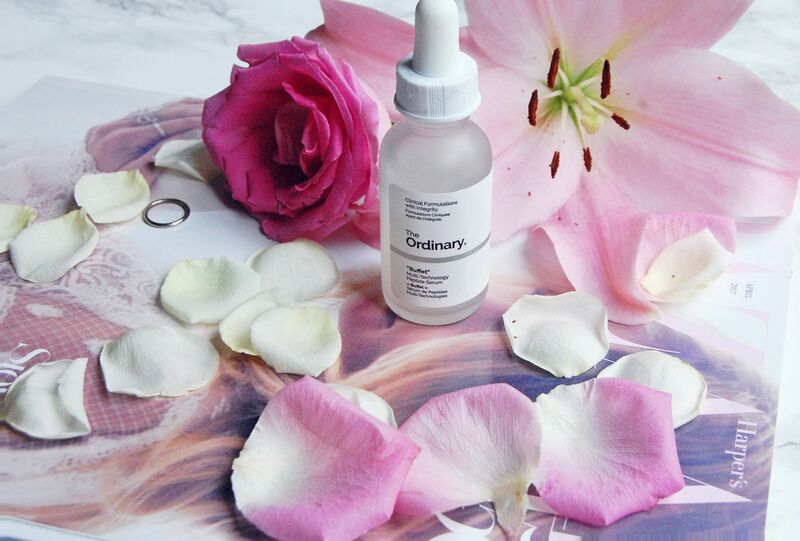 But for a ‘best of’ list, nothing truly came close to this one serum! It may be old news, considering how often The Ordinary sells out everywhere, but I’m nearly on my third bottle so I can’t not wax lyrical about it! More than what it does, I love what’s its taught me to take care of and look out for, and that’s a skin care ethos I’ll be going into 2018 with. I love how DECIEM has changed the game entirely, and clued people in on simple but powerful skincare ingredients, and that they need not cost of fortune. The skin care junkie in me will still splurge on a lot that Caroline Hirons and Alessandra Steinherr hype up, but I’m more selective, and I get to be because The Ordinary has allowed us to go straight to the source! The Buffet means what it’s called! It’s improved my skin drastically, both in feeling and appearance, it’s gone a long way to balance my oily areas because I’m well hydrated, and at roughly £13 it’s affordable! Peptides on the other hand, I’ve always incorporated in my routine, but the Buffet is more technical, with a powerhouse complex called Matrixyl 3000. The science behind it is quite fascinating. So this is my best of, my favourite of the whole of last year (that was so long ago now)!